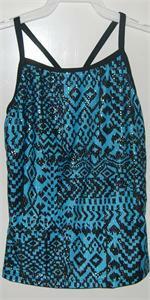 NEW MARKDOWNS JUST TAKEN - PRICES SLASHED! 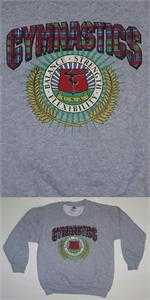 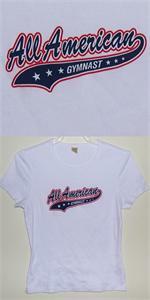 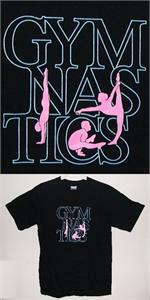 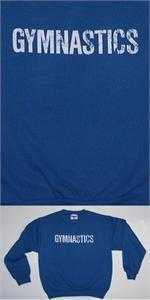 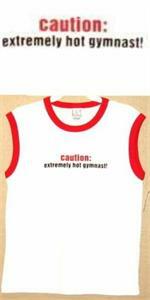 W1105 Layered look short and long sleeved t-short with screenprinted Gymnastics design. 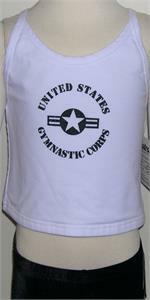 W8965 White cotton/poly/lycra gymnastics camisole, racer back crop top with navy US Gymnastics Corp screenprint design. 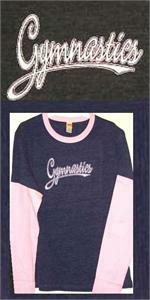 W1256 Purple faded soft, comfortable t-shirt with hot pink gymnastics applique. 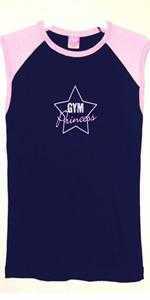 W2551A Soft, black & pink Gym Princess fitted t-shirt. 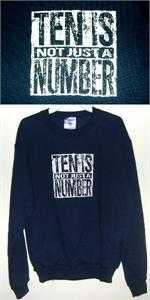 "TEN IS NOT JUST A NUMBER" navy sweatshirt - Great gift for coaches! 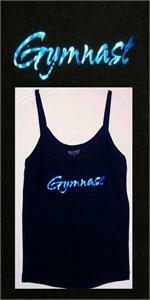 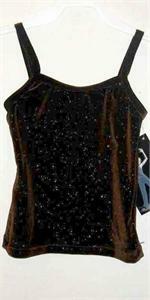 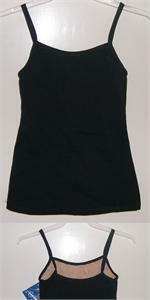 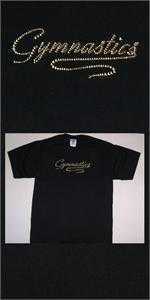 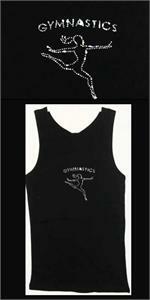 100% black cotton racer back fitted top with rhinestone Gymnastics and gymnast. 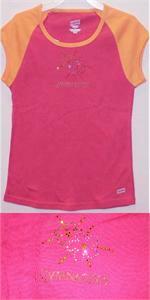 Pink and orange raglan cap sleeved t-shirt with jeweled & studded gymnastics and flowers. 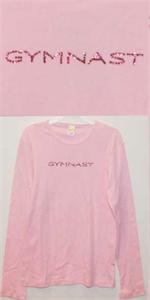 Pink long sleeve top with pink crystal jeweled Gymnast. 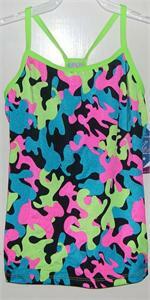 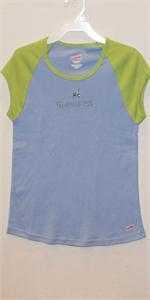 Blue and green raglan cap sleeved t-shirt with gymnastics and flowers. 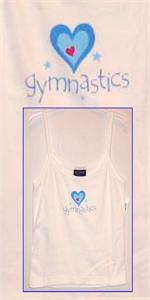 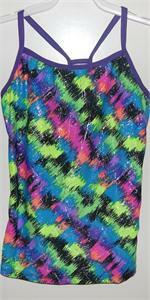 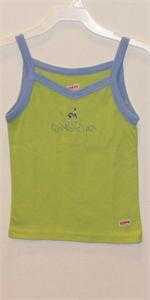 Green and blue camisole top with blue crystal gymnastics and gymnast. 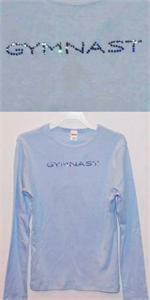 Light blue long sleeve top with blue crystal jeweled Gymnast. 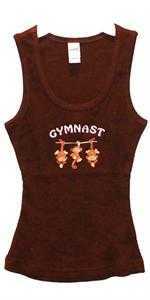 Adorable embroidered hanging monkeys Gymnast brown ribbed fitted tank top. 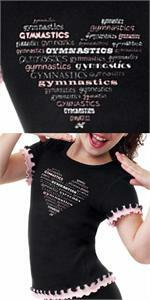 W1185 Ruffled gymnastics heart double layer look short sleeve top.